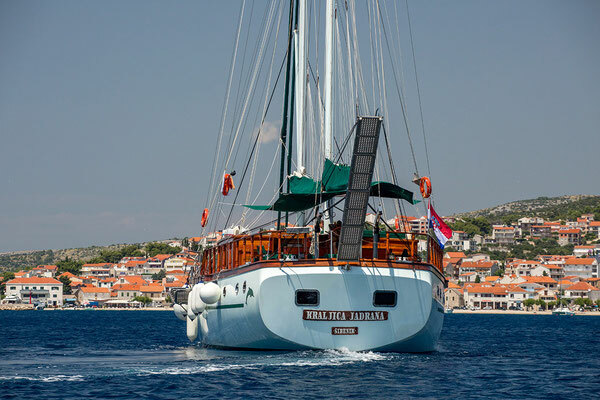 Queen of the Adriatic is just the queen of the Adriatic! 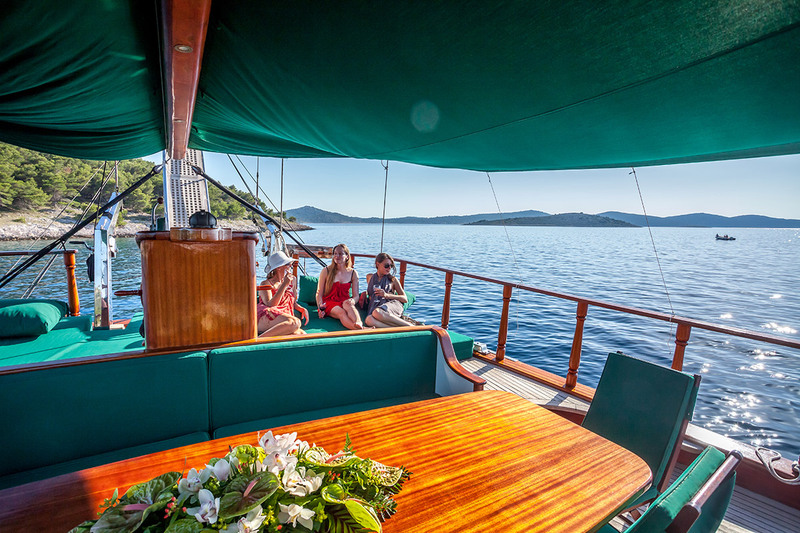 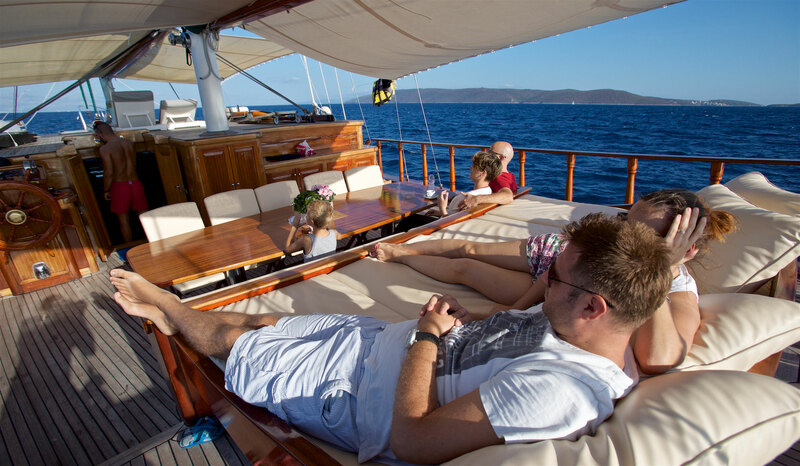 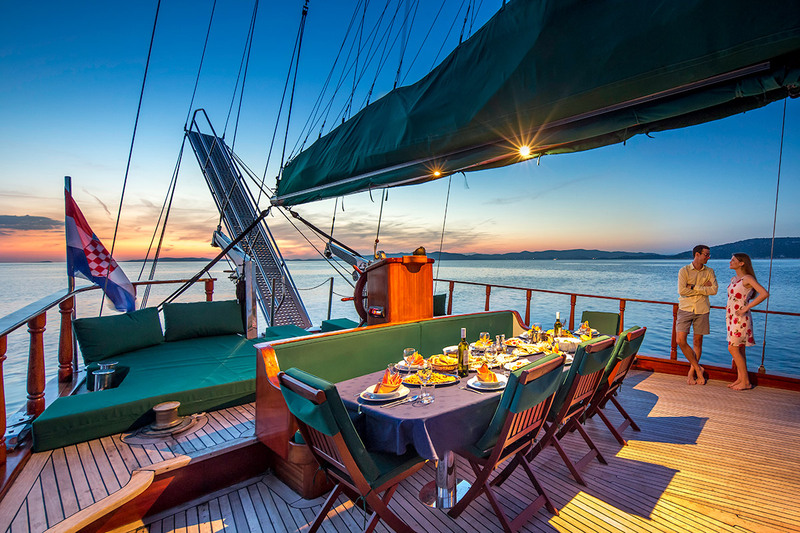 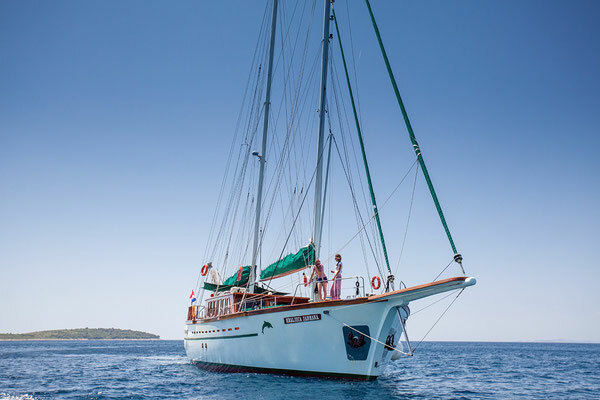 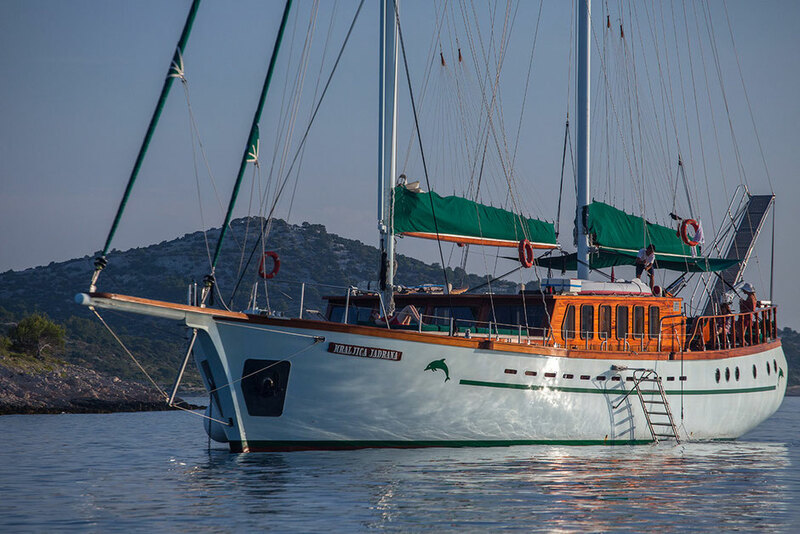 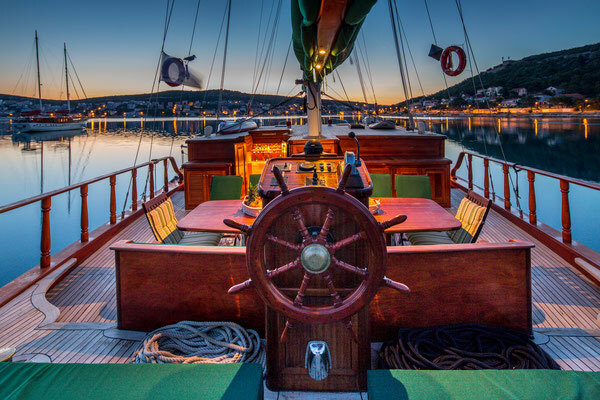 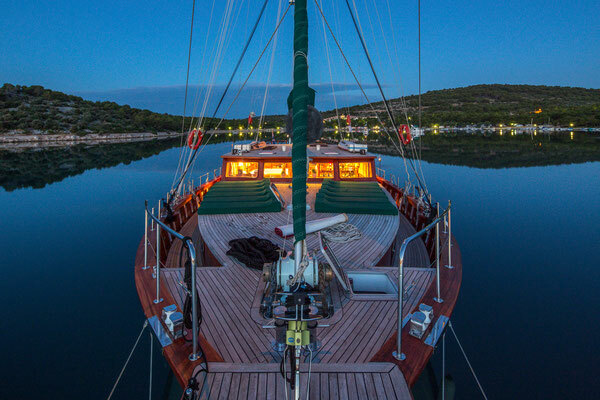 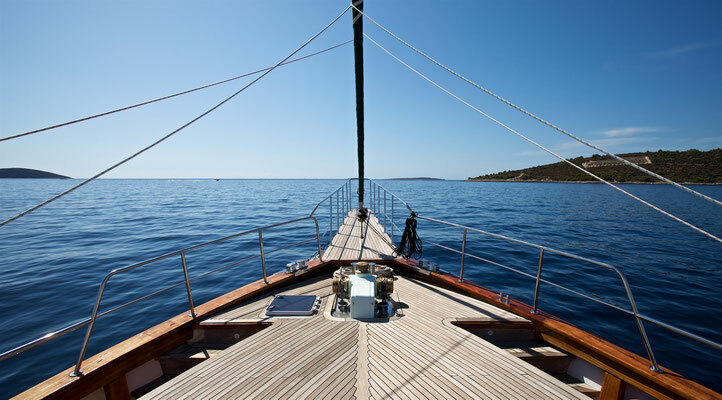 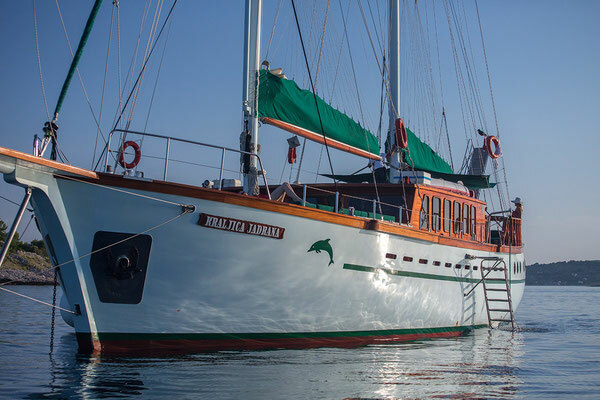 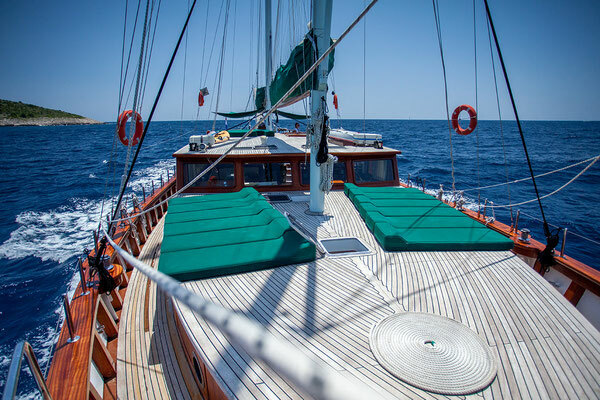 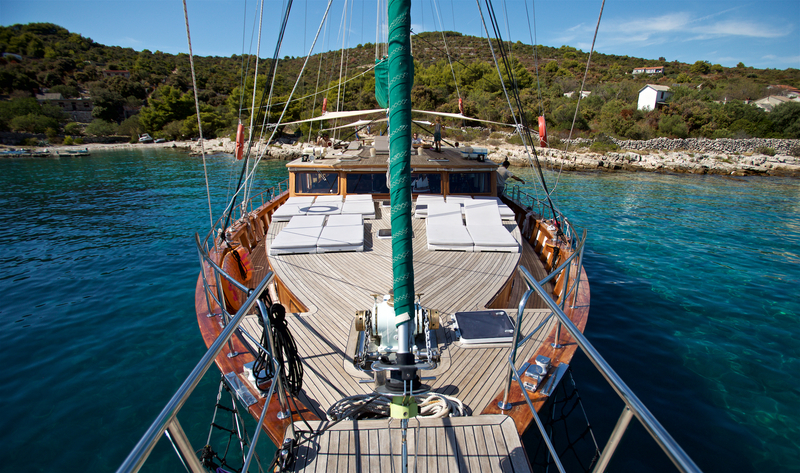 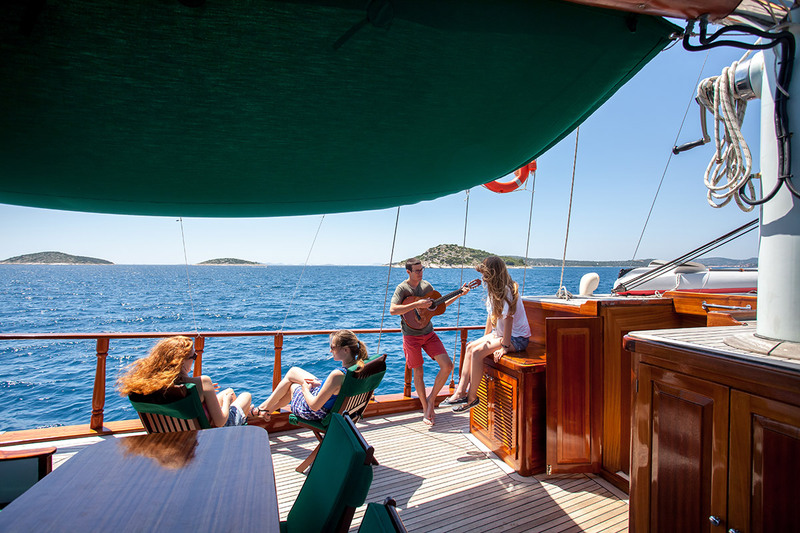 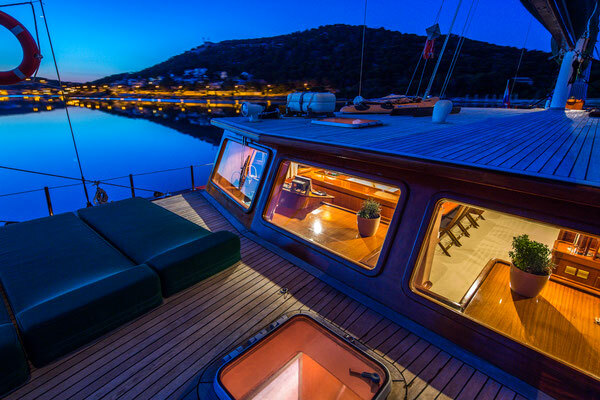 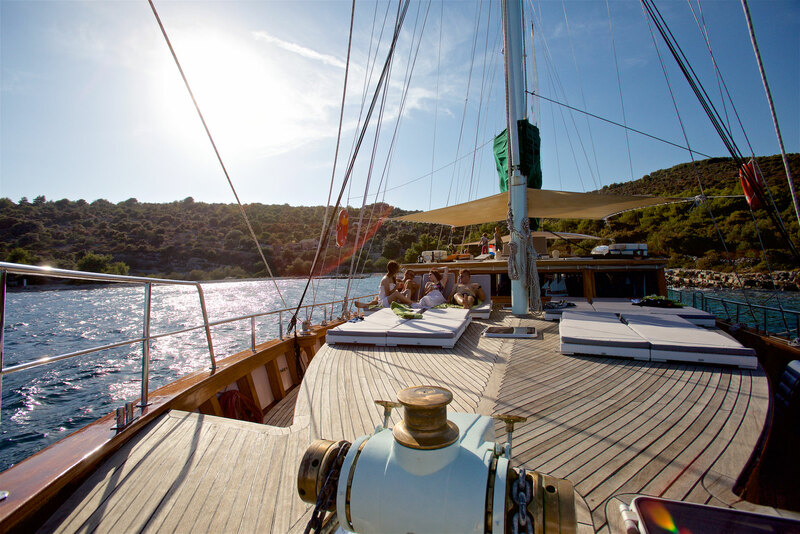 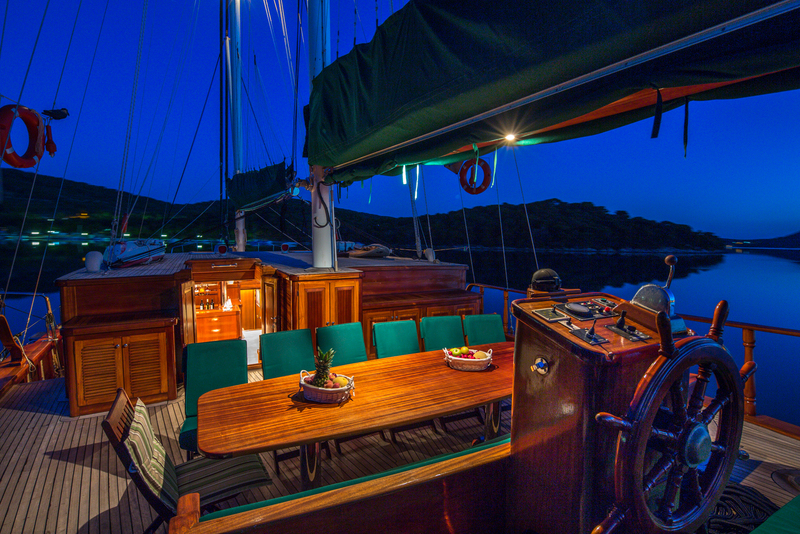 Luxury and beauty of this gulet will give you a unique experience of our coast. 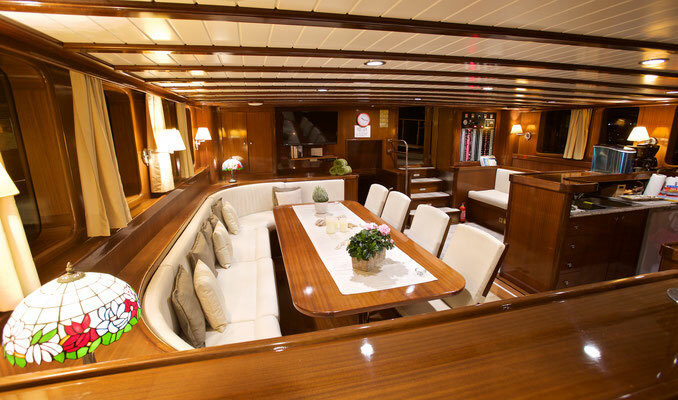 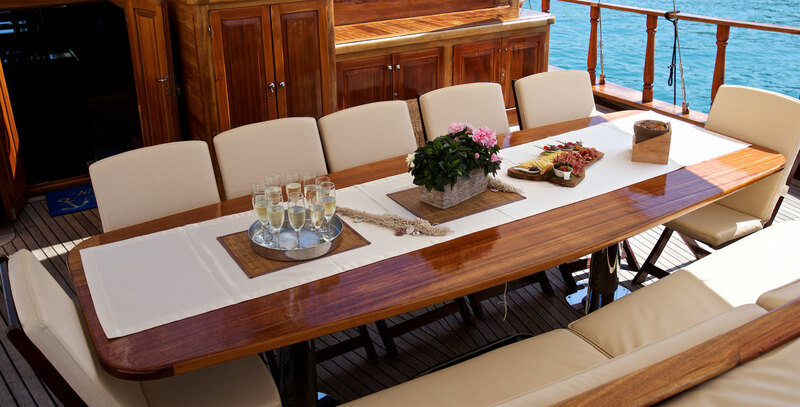 Comfort is the word that best describes the decks: at the table on one side is sofa and on the other are chairs. 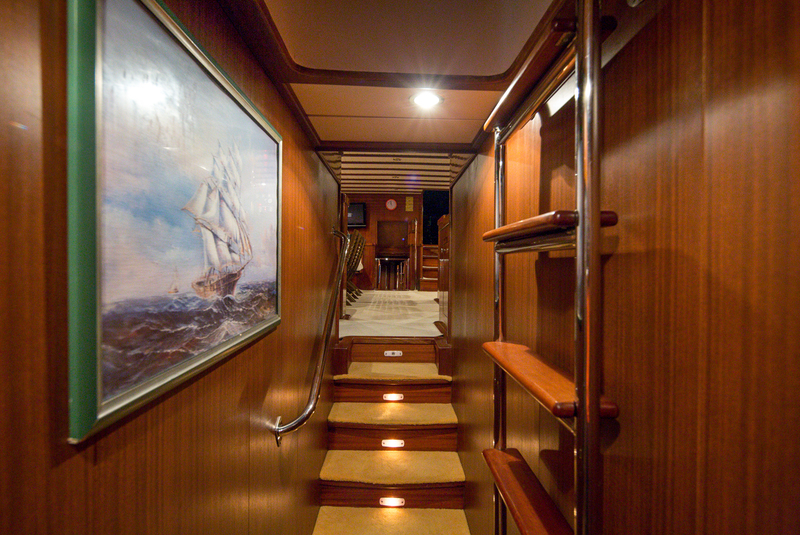 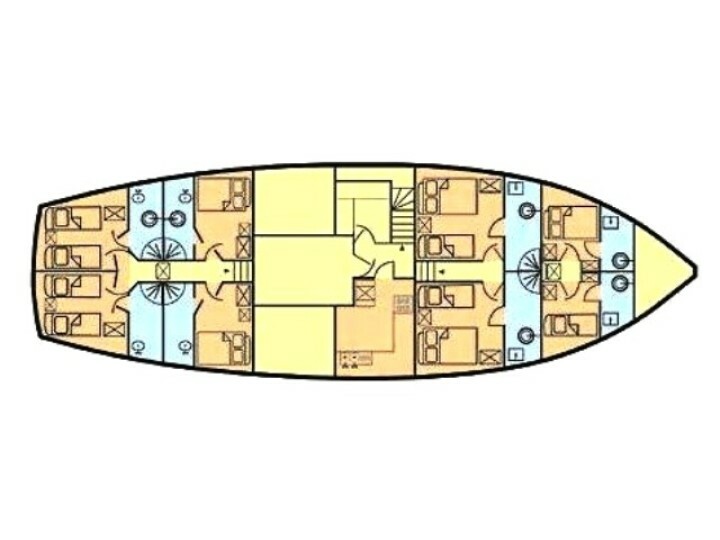 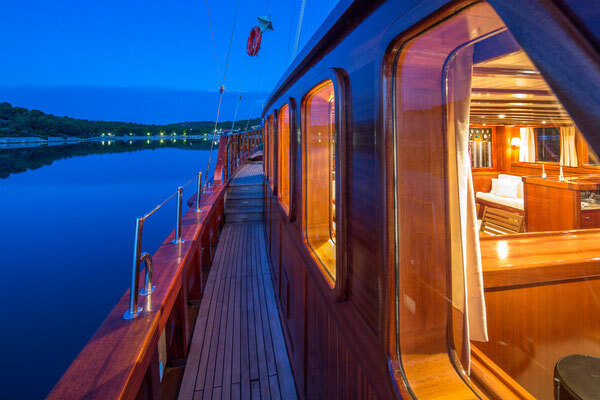 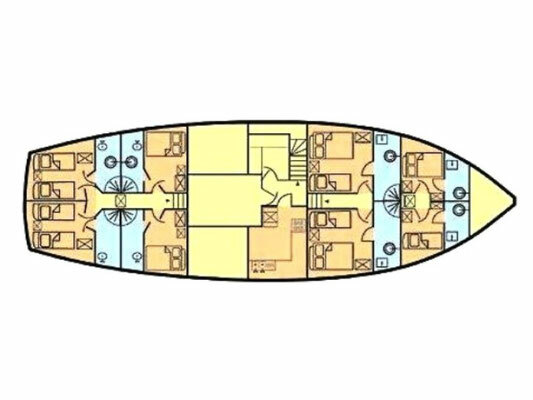 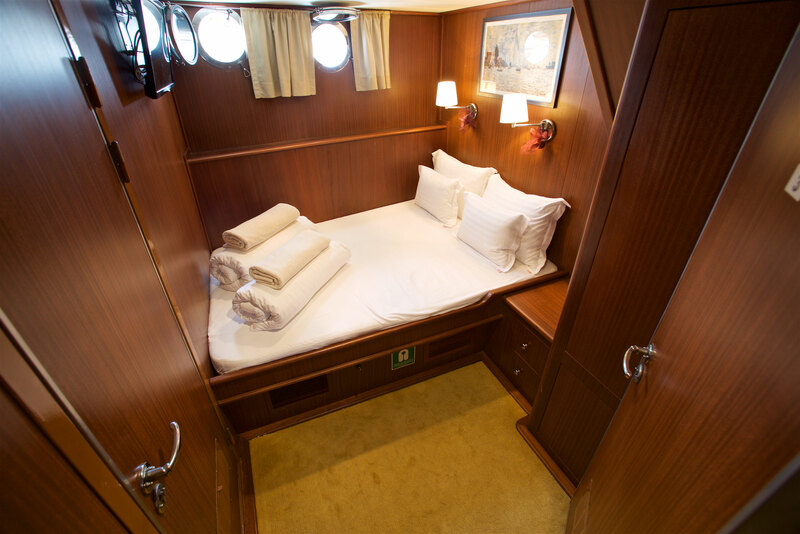 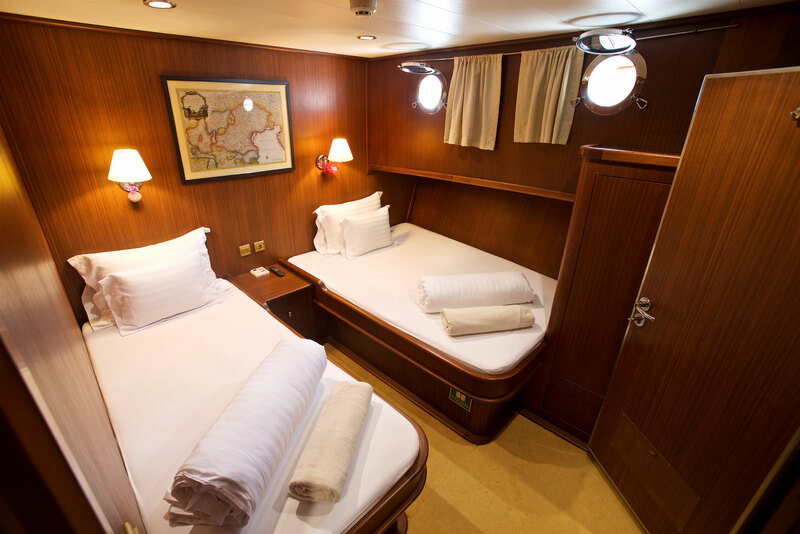 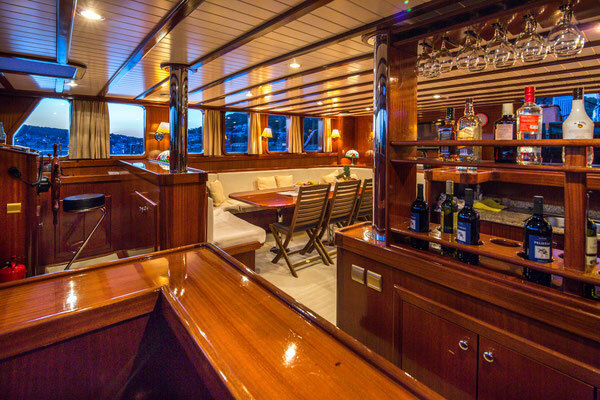 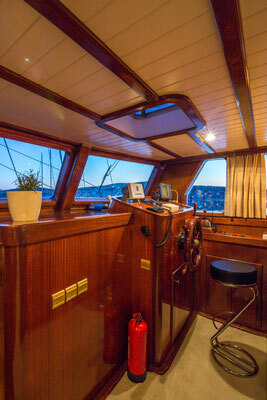 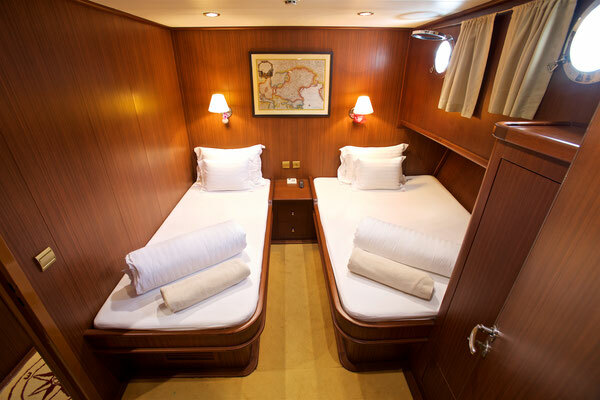 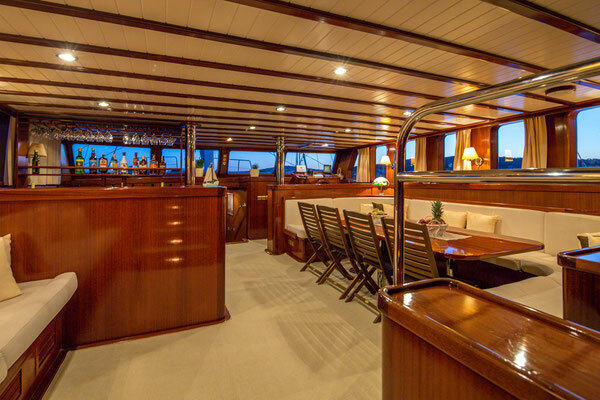 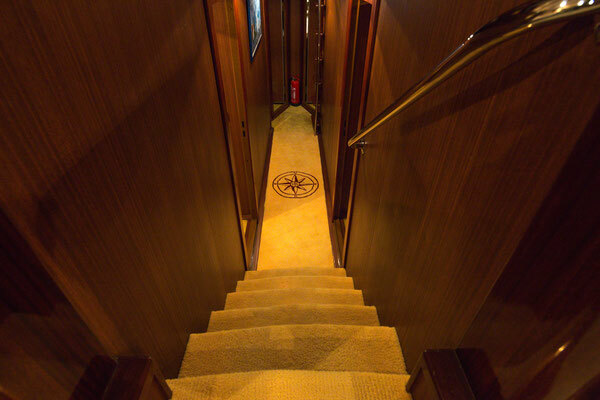 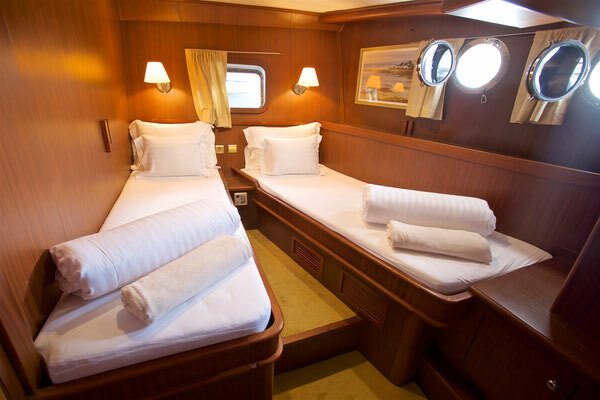 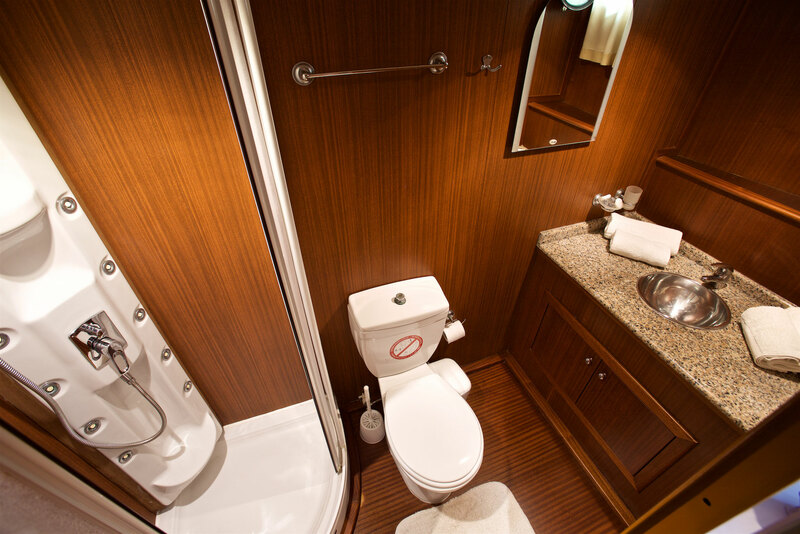 Along the head of the ship is leisure sofa, and front deck contains mattresses for sunbathing. 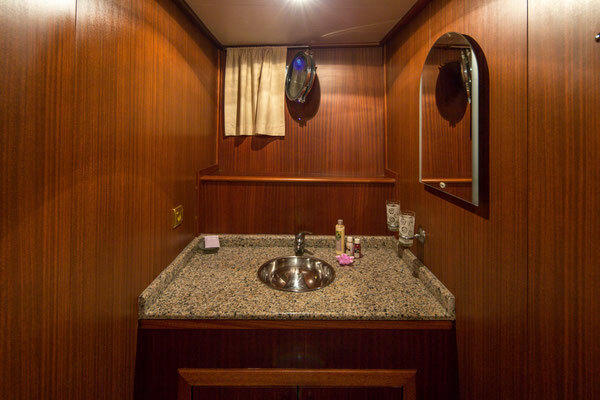 The large lounge also is in charge to leave you breathless: sofa table and another sofa across from it creates a domestic atmosphere as well as upholstered hallway that leads to the 6 air-conditioned cabins with en suite bathrooms. 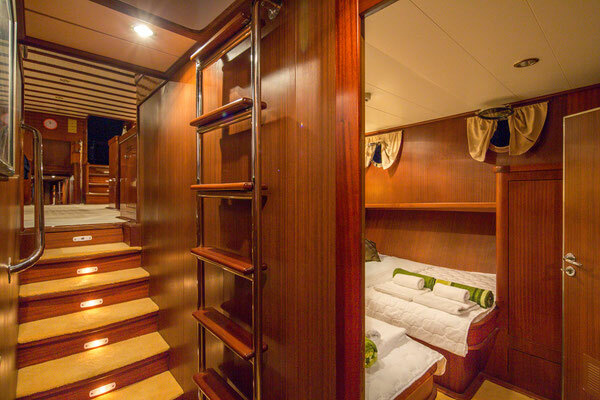 4 of them have double beds and 2 are twin bedded. 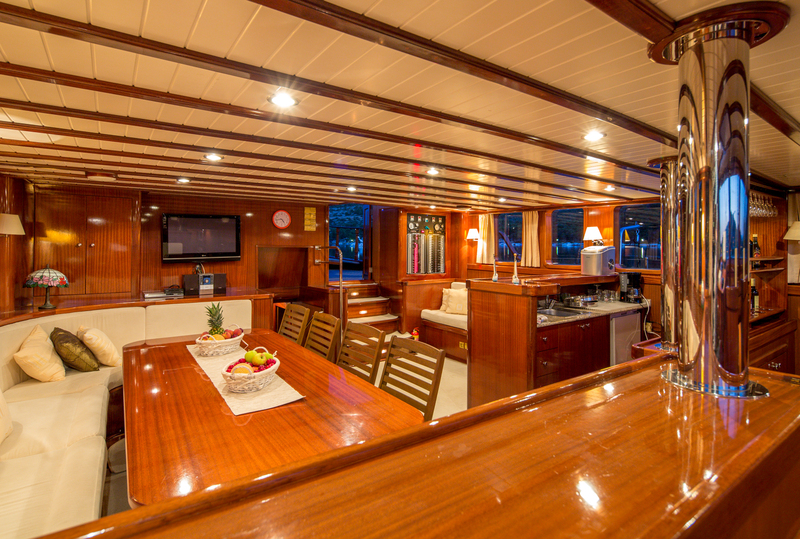 You can have fun with TV DVD, radio / CD and bar, and for those who crave for adrenaline there are equipment for fishing, diving, water skiing, kayaking, and wake board. 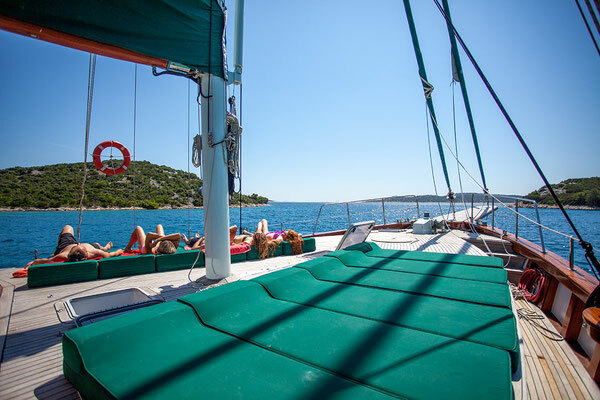 For the perfect vacation you do not need anything more, just a smile and click on the "book now". Welcome!